A further two Ukrainian cities have submitted their bids to host the Eurovision Song Contest in Ukraine in 2017, Lviv and Odessa. Lviv, which has previously been rumoured as a potential candidate for hosting Eurovision has officially announced its bid to host Eurovision. 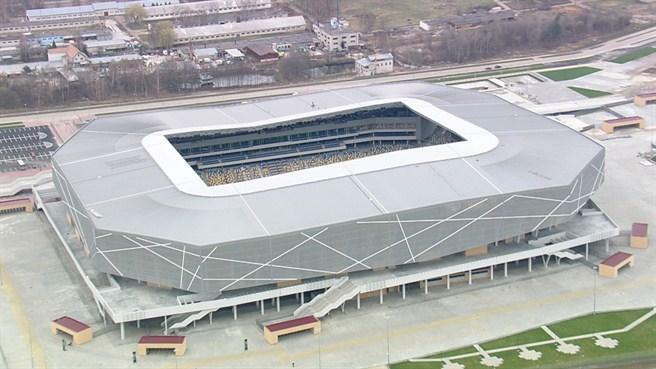 Lviv proposed to host the Eurovision Song Contest in the Arena Lviv, which currently houses their local football team FC Karpaty Lviv. Its capacity is 34, 915 and has previously been used to host Euro 2012 football matches. However, it currently does not have a roof which is essential to host the Eurovision Song Contest. Odessa has also announced its bid to host the Eurovision Song Contest and they propose to hold it in the Chornomorets Stadium which houses their local football team, FC Chornomorets Odesa and is the only venue in Odesa which is capable of hosting the contest. It has a capacity of 34, 164 but again it lacks a roof, which would need to be constructed if it were to host next year’s Eurovision Song Contest. Lviv and Odessa join Dnipro and Kyiv as the cities in contention for hosting the Eurovision Song Contest 2017 in Ukraine. The deadline for cities to bid is 8th July, two cities will then be chosen between 18th and 22nd July and then an inspection of the cities by Ukraine and EBU organisers will take place to identify their suitability between 22nd July and 1st August. A decision on the host city is likely to be expected after this date.